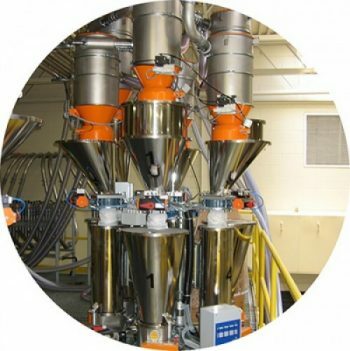 The continuous record of each ingredient, allows the control of manufactured products. The flow material is continuously regulated according to the weight, so the apparent density variations, or grain size, don´t affect the accuracy of the process. Volumetric and gravimetric solutions “loss in weight” and “gain in weight” for minority or majority, in continuous or batch. We provide a huge range of hoppers, screws, spirals, accessories and control systems which allow the adaptation of the device to the material, necessary flow rate and other customer requirements.